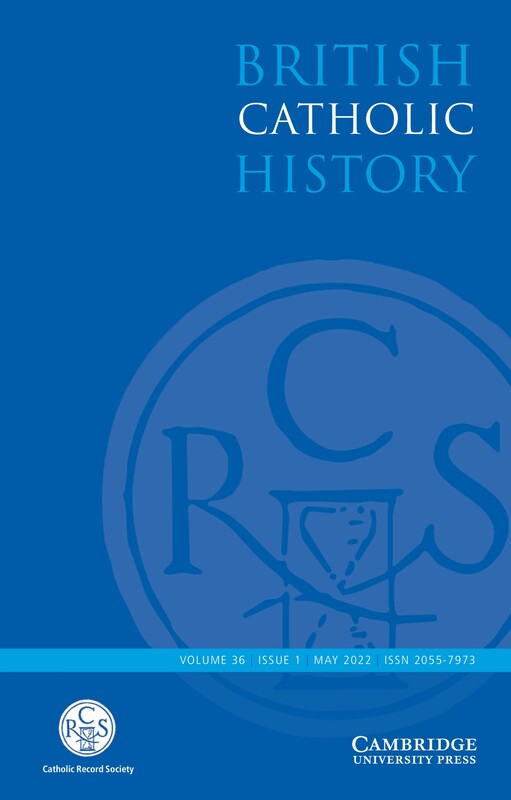 British Catholic History (formerly titled Recusant History) acts as a forum for innovative, vibrant, transnational, inter-disciplinary scholarship resulting from research on the history of British and Irish Catholicism at home and throughout the world. BCH publishes peer-reviewed original research articles, review articles and shorter reviews of works on all aspects of British and Irish Catholic history from the 15th Century up to the present day. Central to our publishing policy is an emphasis on the multi-faceted, national and international dimensions of British Catholic history, which provide both readers and authors with a uniquely interesting lens through which to examine British and Atlantic history. The journal welcomes contributions on all approaches to the Catholic experience. Jesuit and gentleman planter: Ingle’s rebellion and the litigation of Thomas Copley S.J. My article for the Historical Journal examines how the memory of the First World War shaped morale at the start of the Second World War.